Secure, thermally efficient and long-lasting. Our uPVC windows are thermally efficient, secure and come in a range of colours. Our uPVC windows come in four design types. 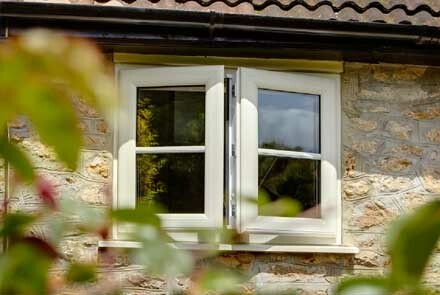 Casement windows, tilt & turn windows, fully reversible windows and French windows. No matter which design you choose, all of our windows effectively reduce noise, are low maintenance, have several safety & security features and of course, are highly energy-efficient. 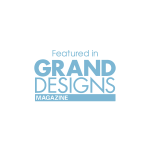 Of course, each design type does have its own unique features and benefits and one of our team would be happy to advise and recommend which design would suit your needs, your property and your budget. This can either be done at an appointment at your property or at our Kent showroom where we have all of the design types and many colours on show. Can be ‘A’ rated, making your home as thermally efficient as possible. This means lower gas and electricity bills in addition to a smaller carbon footprint. Are all available with Saint-Gobain double and triple glazing. We can advise you honestly on the differences between the two and whether triple glazing is the right thing for your property, as it may not necessarily be worth the extra spend. Are as secure as any window can be with multi-point shoot-bolt locking mechanisms and excluder devices as standard in all of our windows, which are designed to prevent burglars jemmying the window open. Are maintenance-free (except for the odd clean with soapy water every so often). Don’t discolour. They look great year after year unlike other uPVC windows. Are available in a great range of foiled colours to truly complement the nuances and features of your home. These include white, white woodgrain, black, oak, rosewood, cream and green. Give you peace of mind with our no quibbles 10 year insurance-backed guarantee, which covers the frame, handles and hinges and installation. Everything except accidental damage is covered. Our high-quality uPVC casement windows will instantly improve the appearance, comfort and security of your home. Casement windows are outward opening windows and are by far the most popular design type we provide and are the type used in the vast majority of UK properties. By opening outwards, casement windows don’t take up any interior room space, which is often a desirable feature for our customers. Our uPVC tilt and turn windows are also a popular choice with our customers. They “tilt” down from the top allowing fresh air to pass through without compromising security and they also “turn” (open inwards) to fully open for easy cleaning while standing inside your home. Tilt and turns are particularly useful for larger openings as they can go wider and higher with one pane of glass. So, if having the largest glass area possible to allow maximum light is a priority for you, then tilt and turns might be the window type for you. Whilst not a hugely popular design type, our uPVC reversible windows are in some situations, the only option. Designed to invite maximum light into your room with easy maintenance, our reversible windows unique 180 degrees reversible action means you can clean the external glass on upstairs windows from the inside of your home, safely and securely. Child-safety catches restrict the aperture so that children cannot fall through, while still allowing high levels of ventilation. 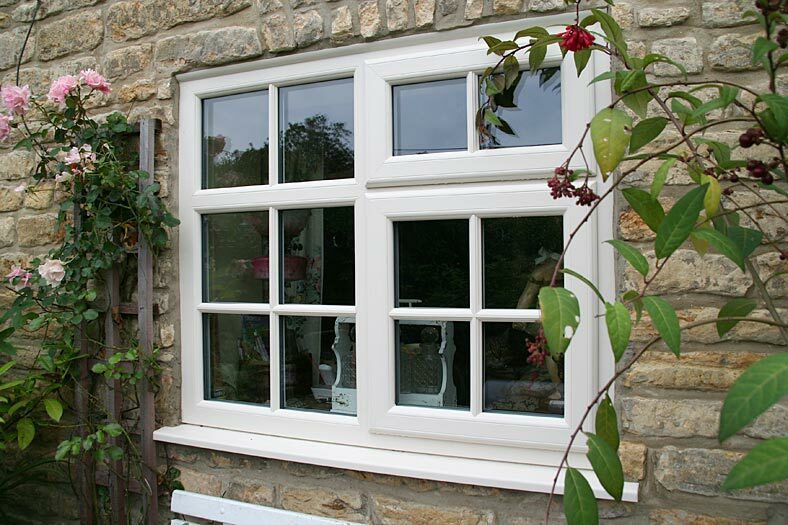 If you’re looking to bring the outside in to your home, look no further than our uPVC French windows. These windows are essentially casement windows with the addition of what’s called a “flying mullion”. A flying mullion means the central frame of the window is attached to one of the opening parts. This means when you open both openers of the window, you get a fantastic clear opening with no central frame blocking the view, bringing the outside, inside. Key features of our uPVC windows. For most of us, a window is just a window. However, in the same way that cars and domestic appliances all vary in terms of build quality, reliability, security features and aesthetics, so too does a window. With an overwhelming and ever-growing range of products on the market, we pride ourselves on educating whilst not overwhelming our customers with what’s out there so that they can make a truly informed decision on what product is right for them, which is why we always bring samples with us and we feature all of our products at our showroom. We believe it is important to consider the key features of our windows because when making such substantial investments in your home, you need to know that what you are paying for is the best value for money product on the market.  After all, for most of us our homes are our most valuable asset and we wouldn’t want to taint that asset with sub-standard or inferior quality windows that will let us down a few years down the line. For the more technically interested, here is a fairly comprehensive list of the key features of our uPVC windows that make choosing our windows for your home a no brainer. A 70mm deep frame (as opposed to 60mm deep) to ensure strength and resistance from impact. This coupled with a 3mm thick external wall makes our uPVC windows the toughest on the market. All outer frames and opening sashes feature mitred and heat welded corners for complete Weatherseal. Variable outer frame widths available to truly customise the windows to your home.  For example, if you have face brickwork on the outside of your home, we can install 62mm wide outer frames as opposed to 72mm wide ones to cut down on the amount of uPVC on show. Our windows all have a multi-chambered internal frame provides the best thermal and security values available on the market today. All of our frames are designed and manufactured with an integral drainage channel to ensure no water is left sitting within the frame if you accidentally leave the window open when it rains. All of the transoms and mullions on our uPVC windows are V-notched and heat welded to form a weather proof crucifix joint. Our uPVC frames are reinforced with galvanised steel where additional structural strength is needed, like for example, in bay windows. The gaskets we us on our uPVC windows are integral and don’t encroach onto our windows so you get the maxmimum amount of glass on show, which is another minor detail that makes our windows stand our from the rest. All of our windows are fitted with tough, marine-grade stainless steel coated, friction stay hinges. Not all are. In line with building regulations, we fit 90 degree fire-egress opening hinges, where necessary, which allow the window to be opened for easy escape in the case of a fire. All of our windows come with easy-clean hinges as standard so the hassle you once had trying to get your upstairs windows clean disappears! We also install trickle ventilation where necessary, keeping everything absolutely in line with current building regulations. In summary, we’ve got it all covered. If you want the most secure, thermally efficient, good-looking, easy-to-use windows available on the market today at a very competitive price, then our windows might just be for you. Not just designed to keep you warm, but safe too. As any of our team will show you, we use multi-point shootbolt locking mechanisms on all of our uPVC windows. This essentially means that when you turn that handle to lock the window shut, not only do bolts lock into their keeps next to the handle, but shootbolts at the top and bottom of the window lock into their keeps too. One the non-locking side of the window, we also put excluder devices, which, as one of our team can demonstrate, lock into one another to stop the window from being jemmied open, which is what many burglars do. There are two positions in which you can close our windows. First is the normal fully locked position. Secondly, you can close the lock the window in “night-vent” mode, which locks it so it is just slightly open, allowing ventilation into the room without having to leave windows wide open. This opening position is obviously not as secure as the fully closed position but it is certainly a good middle-ground that many of our customers find appealing. Our uPVC windows are all internally glazed to prevent intruders popping out the bead and glass and gaining entry. Surprisingly, some uPVC windows are still externally beaded. With ever rising fuel and energy bills, why would you add to your bill by buying windows that are letting heat and money out of your house unnecessarily? Spacer bars are the things that separate the two (or three) pieces of glass in a double or triple glazed unit. Up until a few years ago, the industry standard was for this spacer bar to be made out of metal. If your windows are more than 5 years old, the chances are, they will have metallic spacer bars. These metallic spacer bars are still available and are still used by some companies to save money. The problem with these metallic spacer bars is that they allow the cold to shoot straight through the bar and make the glass area on the inner pane around the metallic bar cold, causing the condensation all the way around the edge of the glass, which many people have experienced in the past.  However, now we use what’s called ‘warm edge composite spacer bars’, which are made out of a composite material designed not to transfer the cold meaning the glass on the inner pane does not get cold as it does with metallic spacer bars. By only using modern warm edge composite spacer bars, we can ensure that our customers don’t experience condensation on the inside of their windows whilst improving the BFRC energy rating too. The standard colour for these bars is black, but we also offer them in in white. Our glazed units are all argon-filled as opposed to inferior air-filled units. Argon is a noble glass which means it doesn’t react to anything as much as normal air does. This applies to glazed units with Georgian bar and to leaded units too. This means that heat is not lost as easily through the unit. If you use air-filled glazed units, the heat can escape through the unit much more easily. This of course contributes to the overall energy rating of the window. To make it even harder for heat to escape from our customer’s homes, we use multi-chambered profiles in our frames. This means that the inside of the uPVC frame is split into many chambers. It’s comparable to leaving the house with 6 jackets on. This of course, improves the thermal efficiency of the window and its energy rating too. Glass is something that can be skimped on. We don’t. In our uPVC windows, we use Saint Gobain Planitherm Total Plus. In situations where building control or architects have specified a certain thermal U-value, we use Planitherm One glass to further improve thermal efficiency. These glass systems help to make our customers homes more thermally efficient as follows. On the inside pane we use the latest magnetron-coated ‘Low-E’ or Low Emissivity glass, which has an invisible coating on it that dramatically reduces heat transfer and also increases heat reflection back into the room. Therefore, glass without a low-e coating will absorb the heat from your home and radiate it out onto the colder outer pane, where it is more easily lost. Low-e glass has a special coating which is a poor radiator of heat and does not allow heat to be transferred to the outside. Instead, the low-e coating actually reflects the heat back into your room. On the outer pane, we use an ultra-clear Low Iron Glass, which not only allows as much light in as possible but also brings in the suns rays increasing the windows ‘solar gain’, which means you’re heating up your home with free energy from the sun as opposed to reflecting it back out as you would with other less energy-efficient glass. The importance of energy efficiency is summed up by the British Fenestration Rating Council’s (BFRC) introduction of the Window Energy Ratings Scheme. With this universal rating scheme, it is now possible to independently measure the efficiency of windows just as you would with cars, fridges or washing machines. This is great news for the consumer who now have a much better idea about the thermal efficiency of the windows they are buying. The BFRC rate the windows from A+ to G, with A+ being the most energy-efficient and G being the least. Those achieving a C-rating or above demonstrate they have been designed, manufactured and tested to provide a good level of overall thermal efficiency. Thankfully, all window installers must install at least a ‘C’ rated or above window. We guarantee all of our uPVC windows for 10 years, and this is insurance-backed. Not only do we guarantee our products to you, but for added peace of mind, we also pay to have our guarantees insurance-backed, so if anything happened to us as a company, you can rest assured in the knowledge that you still have your full guarantee. Our guarantee on our uPVC windows covers the uPVC profile, the installation, the handles and the hinges from decomposing or discolouring, to the glass unit breaking down. Everything except accidental damage or misuse is covered. We are also members of CERTASS, who are a recognised governing body designed to improve the workmanship and customer service in our industry. CERTASS anonymously check much of our work to make sure we’re doing what we should be.